Customize the Size to Fit Your Tools! 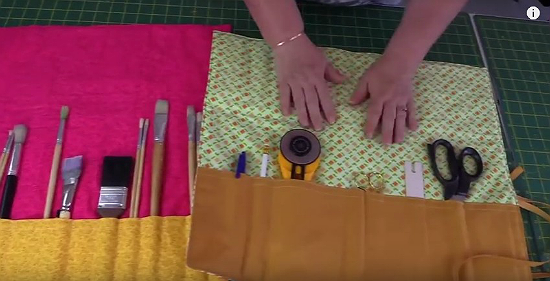 Three fat quarters of complementary fabrics are all it takes to make a handy roll-up for tools and accessories. 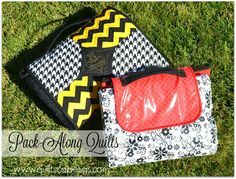 These are great for sewing, craft and painting tools and make it easy to store and tote them. 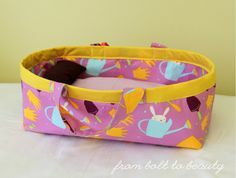 The roll-ups are so easy to make and can be finished quickly. 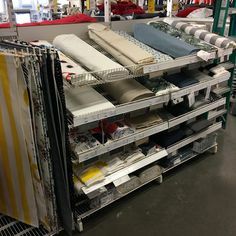 You may find you can use more than one. 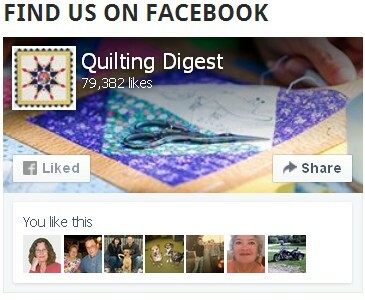 They also make wonderful gifts for crafty friends so go ahead and make extras for giving. Customize the pockets to fit your tools. Once the tools are in place, fold the cover down, roll it up and tie to secure. 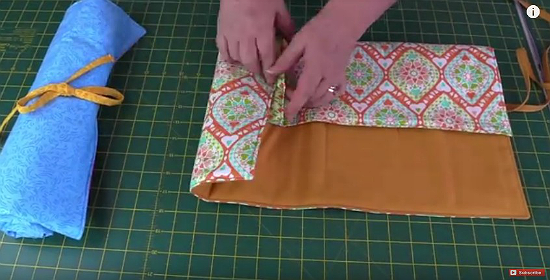 The following video, from Alanda Craft, shows you how to put the roll-ups together. She uses Frixion pens (found here) for marking. 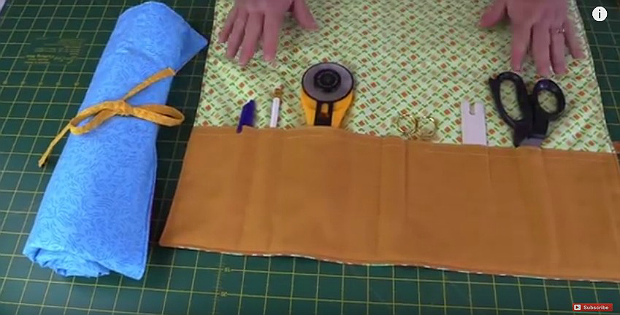 A second video, from Melanie Ham and Amy Tangerine, shows a similarly constructed roll-up. They show more precisely how to measure the pockets to fit your exact tools. Attach your interfacing to your outer pieces of fabric. Place right sides together and sew around using a 1/2 inch seam allowance, leaving a 2-3 inches opening halfway up on the 22 inch side. Clip corners, turn right side out and press. Place 18 inch strands of ribbon in the opening and pin in place. Top stitch all the way around using less than a 1/4 inch seam allowance. Fold up about 5 inches and determine pocket sizes, marking with a pin. 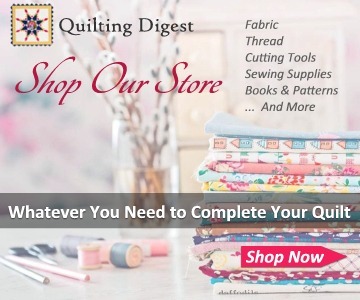 Sew a straight line down the pocket back stitching at the beginning and the end.